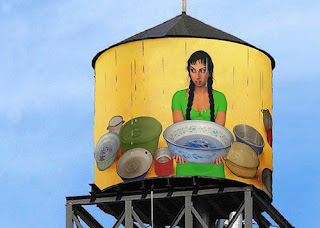 This public art season has already seen New York City land its boldest water tower to date, but next spring the sprawling WaterTank Project will up the ante in a big way, with rooftop tanks around the city becoming canvases for artists as diverse as Jeff Koons, Marilyn Minter, E.V. Day, Catherine Opie, Lawrence Weiner, Ed Ruscha, and Jay-Z. 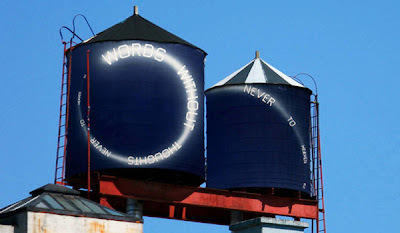 The project, whose all-star curatorial team includes MoMA PS1’s Neville Wakefield and the Pinault Collection’s Alison Gingeras, is being overseen by the non-profit Word Above the Street. The project, which will also include designs by public school students, will unfold across all five borough over the course of 12 weeks next spring.